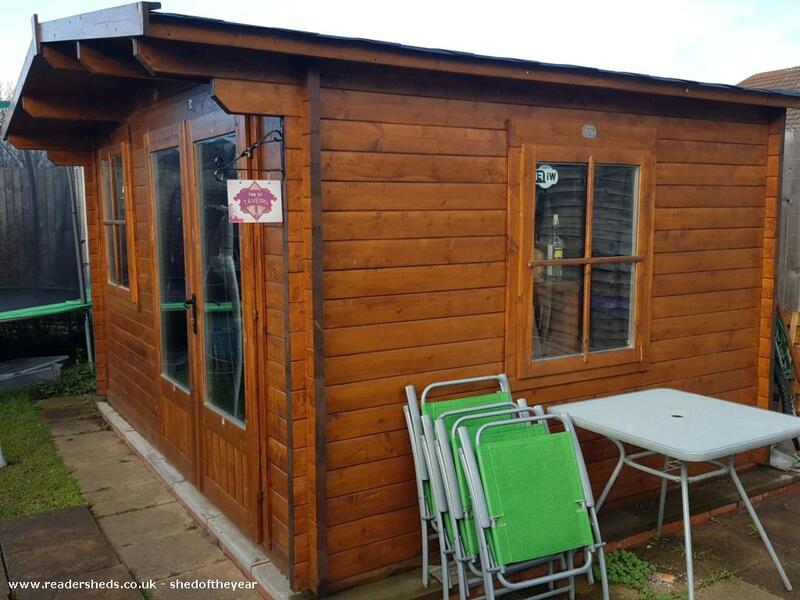 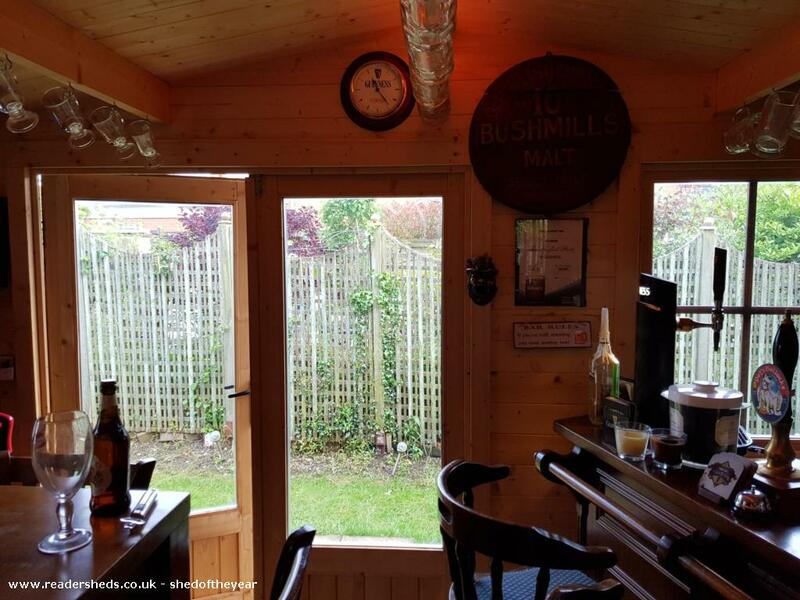 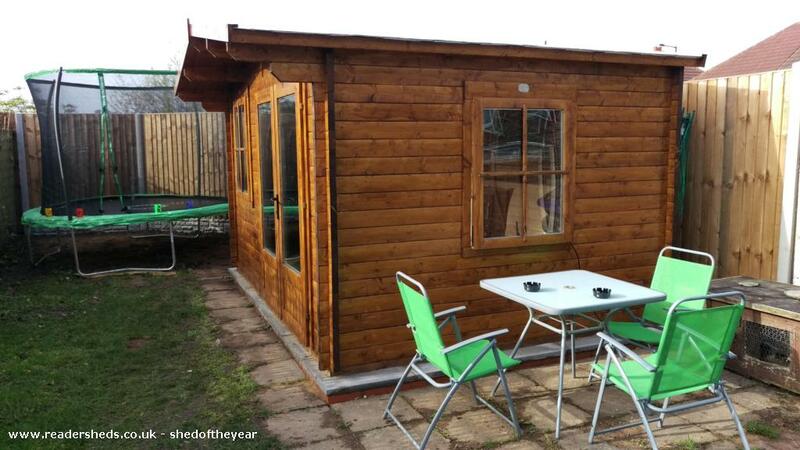 Shed is double glazed and roof and floor insulated so it is great to use all year round. 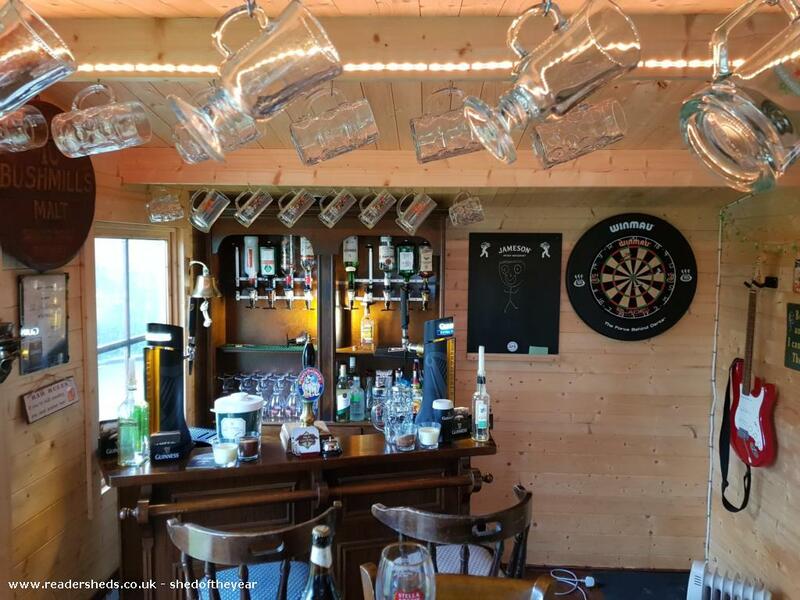 I decided to go for a traditional Irish style bar theme. 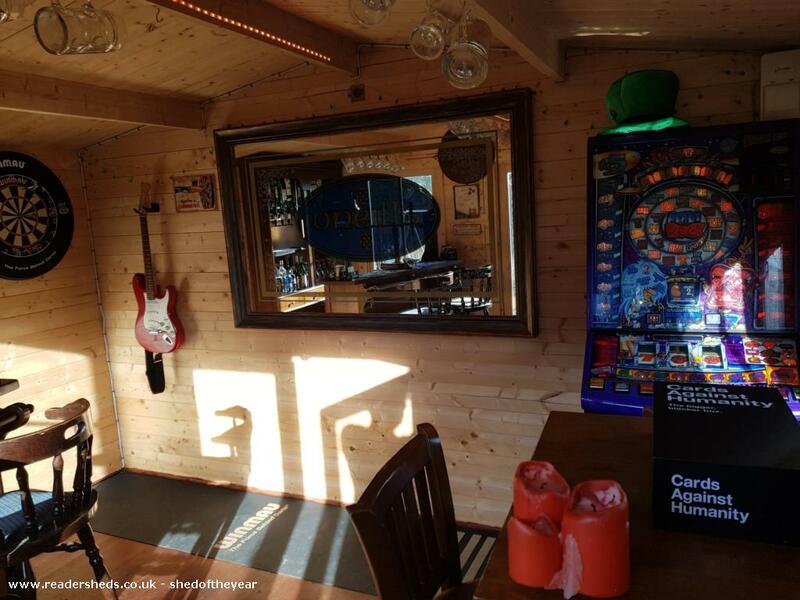 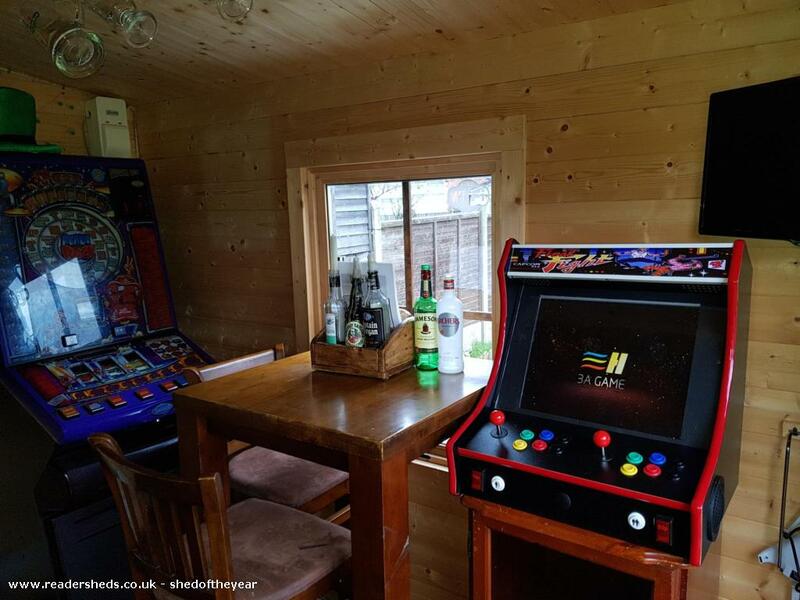 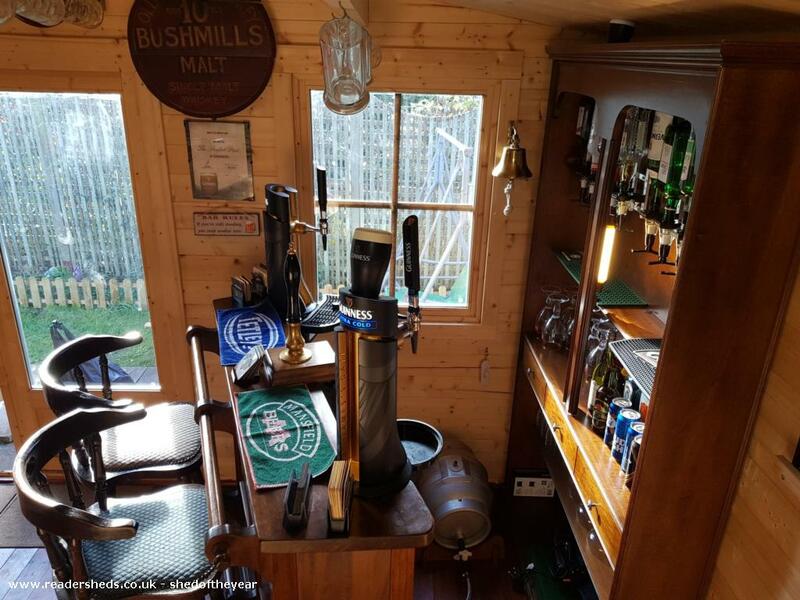 Inside consists of a darts board, slot machine, arcade machine, pub tables and chairs plus a bar with optics and bar and a working bar pump.